NEW! 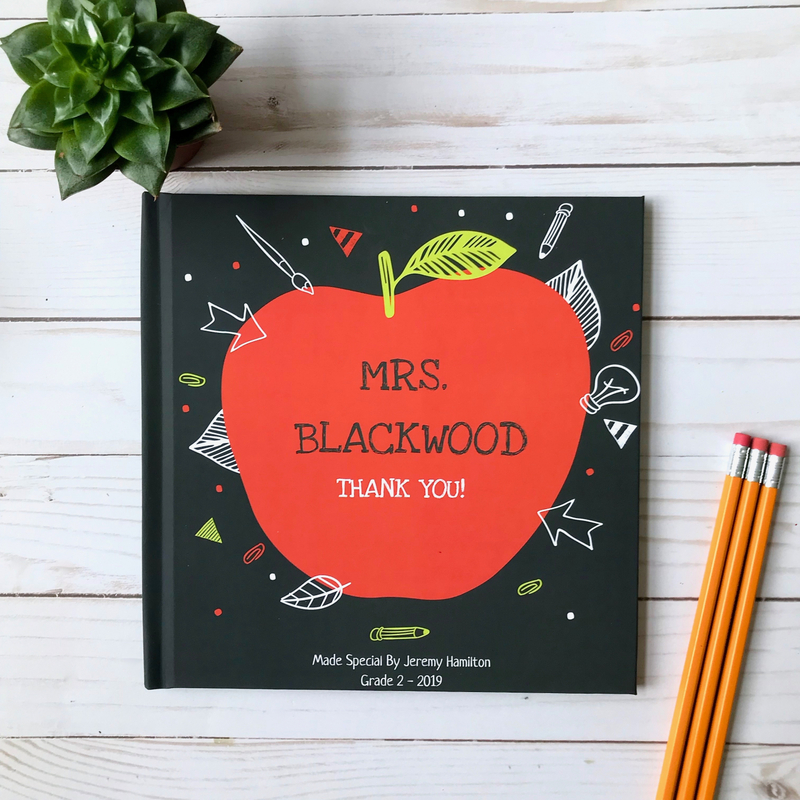 This personalized teacher appreciation gift is specially made to thank your teacher. It can be made by one student or as a gift from the class. Share your best memories, express your deepest gratitude, add your own photos. Everything you need to make your book is included in the listed price. 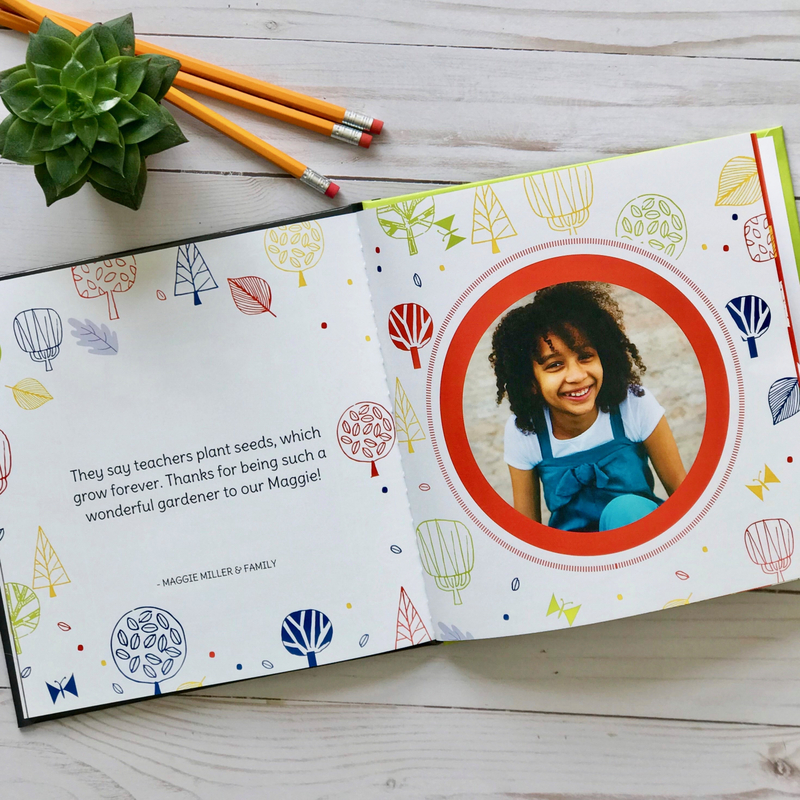 This teacher appreciation gift is designed to let a special teacher know just how impactful they have been in your life. Make it on behalf of one student or from the class. Add your own pictures and finish the sentences –or write your own, the choice is yours. Commemorate your teacher with this beautiful personalize gift to let them know just how much they mean to you. Make this book on behalf of one student, with our helpful sentence starters. 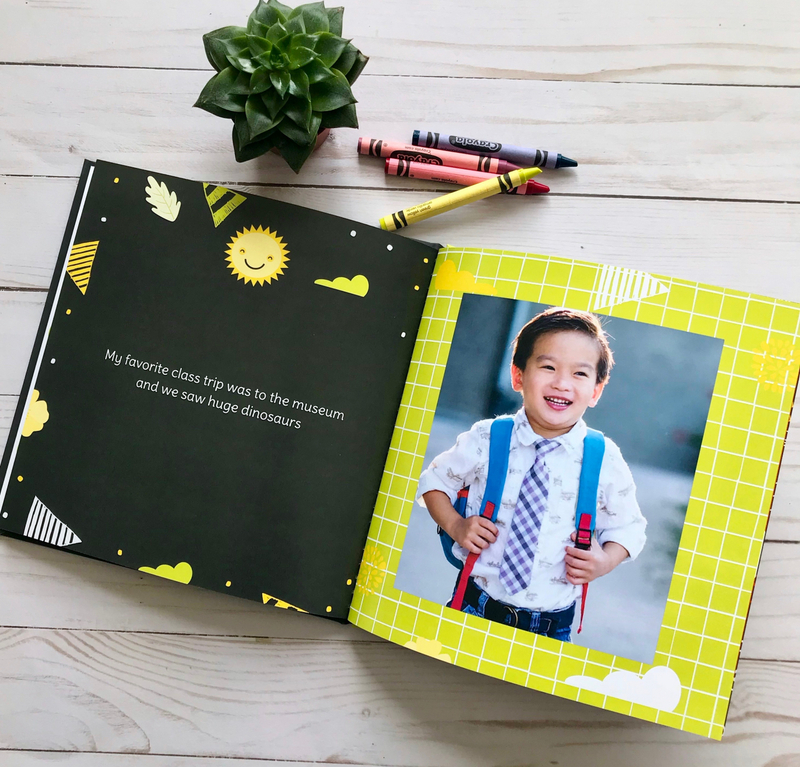 Or, make this book on behalf of the class, each student gets their own page to write a special message and include a special photo. Share your best memories, your most exciting moments, and all the reasons why you are thankful they were your teacher. Our fill-in-the-blank style makes it so easy to get all your thoughts and feelings out, add your own photos for a truly personalized gift. 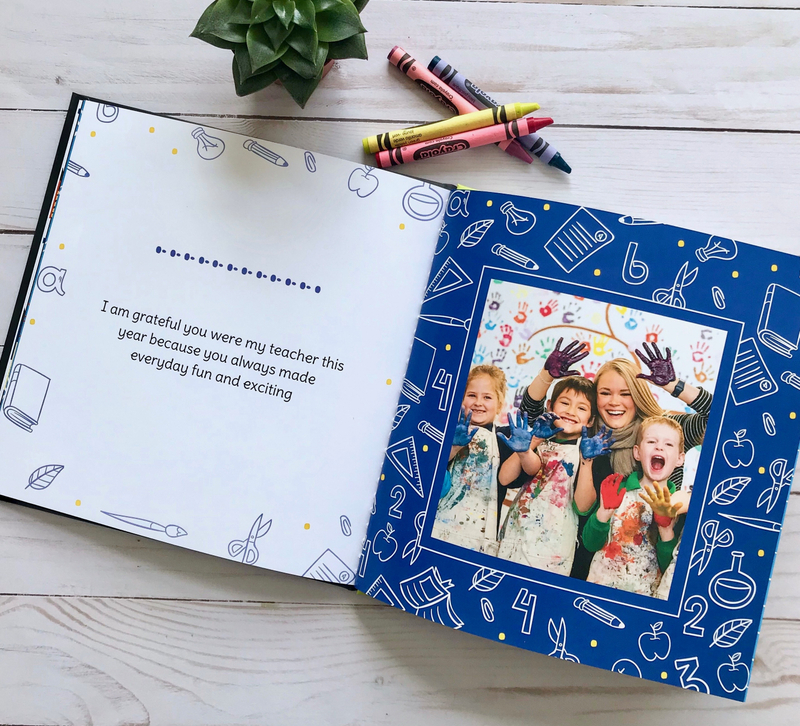 Making the teacher appreciation gift book is a beautiful experience and a great permanent keepsake. With Luhvee, we help you make custom memory books using your own images and text. 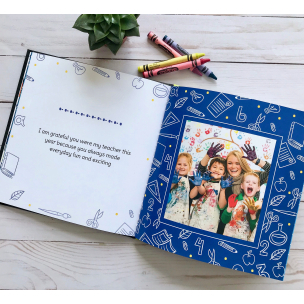 Writing your book is super easy with our sentence starters, simply fill in the blanks to create your unique story and add your own images for a truly custom keepsake gift they will cherish forever. Add photos either from your current device or upload images from your favorite social media tools. We also have beautiful chapters and custom options to personalize your story in your own words. Making a Luhvee book is a fun and meaningful experience that you’re sure to enjoy and they will love.